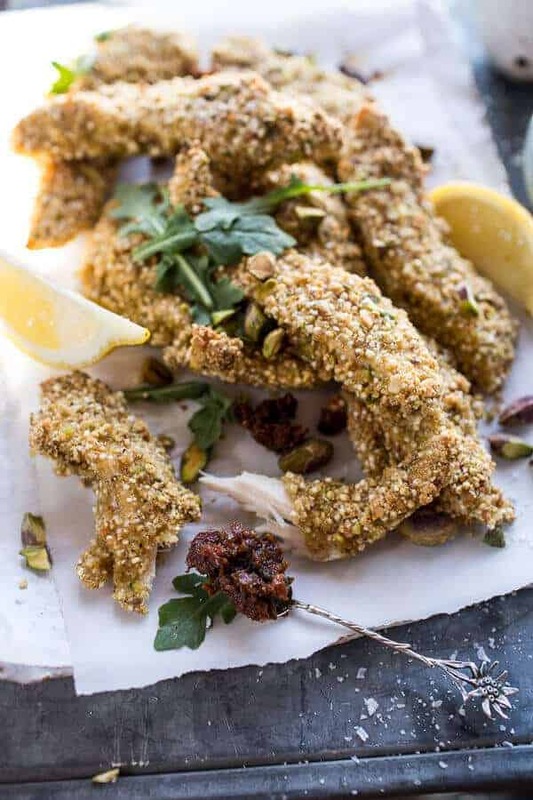 Pistachio Quinoa Dukkah Crusted Chicken Fingers with Sun-dried Tomato Pesto. Let’s eat fancy kid food!! Well, these aren’t really fancy, but they are definitely not your average chicken finger either. 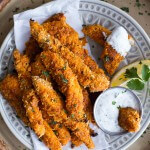 What is it about chicken fingers that’s such fun? I actually never ate all that many chicken fingers while growing up, but when I did, I remember it as being summertime. I was either at the pool snack bar OR out to lunch with my grandma (where chicken fingers where about the only option on the menu that I’d eat). Speaking of that, anyone ever eat at Houlihan’s? I used to go there occasionally with my grandma when my grandpa was out-of-town and we’d spend the night together and go out to dinner. I remember Houlihan’s as having the best chicken fingers. So wait, maybe I did eat my fair share of chicken fingers growing up. 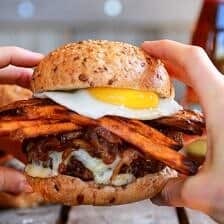 I guess I just never ate them ate home because my brothers would always cook those frozen Tyson ones, and even back then they short of gave me the creeps…but I was a super weird child and snacked on carrots instead of chips, drank water instead of soda and would never go near fast food. Anyway, today I made use a super healthy chicken finger. One my brothers would be disgusted with. Especially my eldest brother who literally has a fear of all things quinoa. Also, they should have an emoji for that. That’d be awesome. 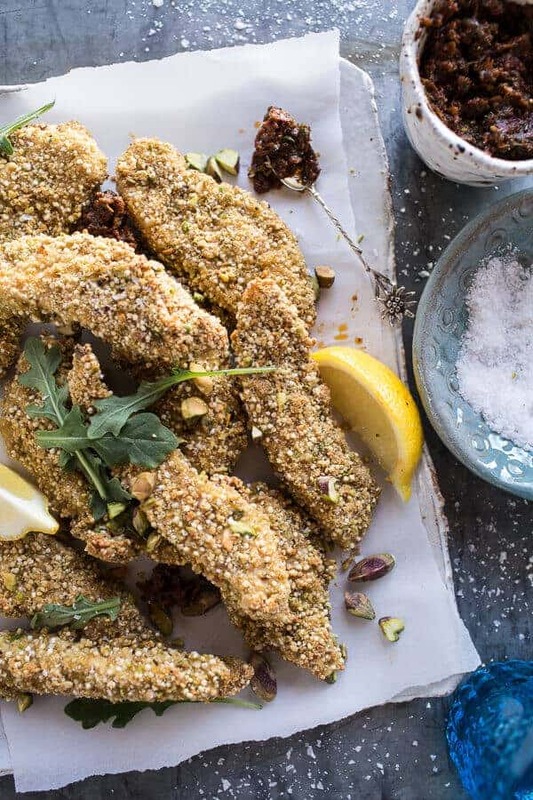 Ok, but these quinoa dukkah crusted chicken fingers, they are coated with all the good things. And by that I mean all good for you. Even the pesto is a step up from sugar filled ketchup (but don’t get me wrong, I love ketchup…especially the fruit spiked one I just made. YUM). 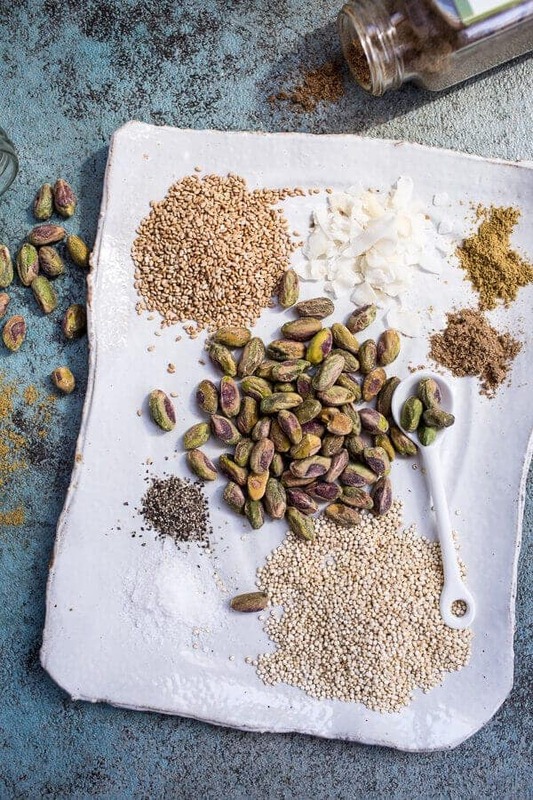 Dukkah is an Egyptian spice/condiment made up of different nuts, seeds and herb. It’s uses are almost endless. You can use it on meat, add it to olive oil for dipping bread, stir it into sauce for extra flavor, sprinkle it over hummus… I mean I could keep going, but I think you get the idea, you can use it for a lot of different things. Cool! For my Dukkah, I used dry toasted quinoa and pistachios. 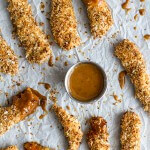 I know I just posted a quinoa recipe yesterday and all, but these chicken fingers just sort of happened unplanned one day and I could not wait to share them. So here they are! 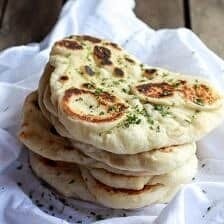 They are so easy and quick to make and maybe if you live with non-picky eaters you can get them to eat these too (or just add some extra butter and don’t say anything)! They taste so good. And when served with that sun-dried tomato pesto (that I can literally eat with a spoon) – YUMMERS!! And since chicken fingers fill me with good summertime vibes that means the snow is going to stop, right? Yeah – not, there is a winter storm warning for 12-24 inches tonight and tomorrow! Preheat the oven to 475 degrees F. Line a baking sheet with foil and spray or brush it with the olive oil. In a bowl combine the buttermilk and the chicken, toss well. To make the dukkah, heat a heavy large skillet over high heat, add the quinoa, coriander seeds, cumin seeds, sesame seeds and coconut. Dry-toast until slightly browned and fragrant, being careful that the ingredients don't burn. Remove from the heat and cool completely. 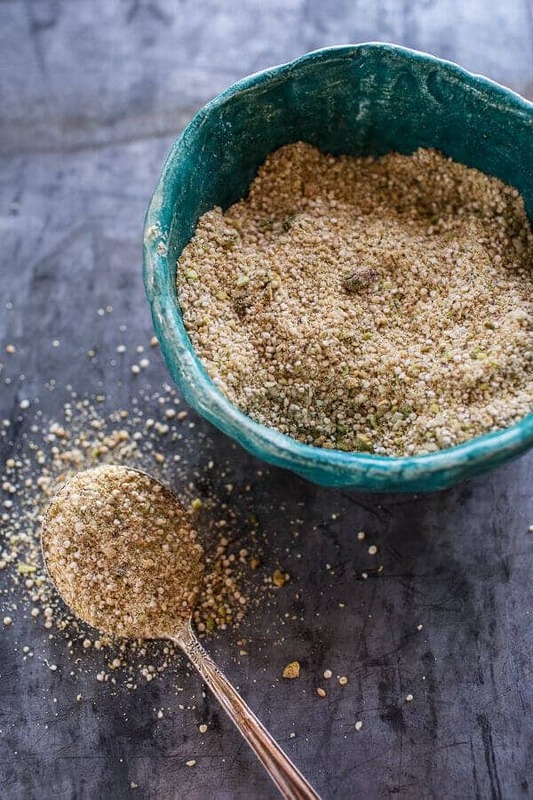 To a blender or food processor, add the cooled quinoa and seeds, pistachios, salt and pepper. Pulse until finely ground, but be careful not to turn the mix into a paste. The leftover Dukkah and be stored in a sealed jar for up to 1 month in a cool place. Add half the Dukkah to a shallow bowl and stir in the parmesan. Remove each piece of chicken from the buttermilk, and dredge through the Dukkah, pressing gently to adhere. Place on the prepared baking sheet. Repeat until all the chicken has been used. Make sure not to crowd your pan, if necessary use two baking sheets. Lightly spray the fingers with cooking spray or a mist of olive oil. 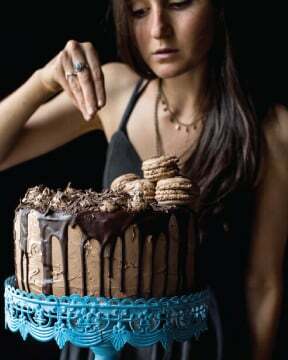 Bake for 10-12 minutes, then gently flip using kitchen tongs and spray the other side. Bake for 10-12 minutes more, then remove from oven and serve with the sun-dried tomato pesto (recipe below). 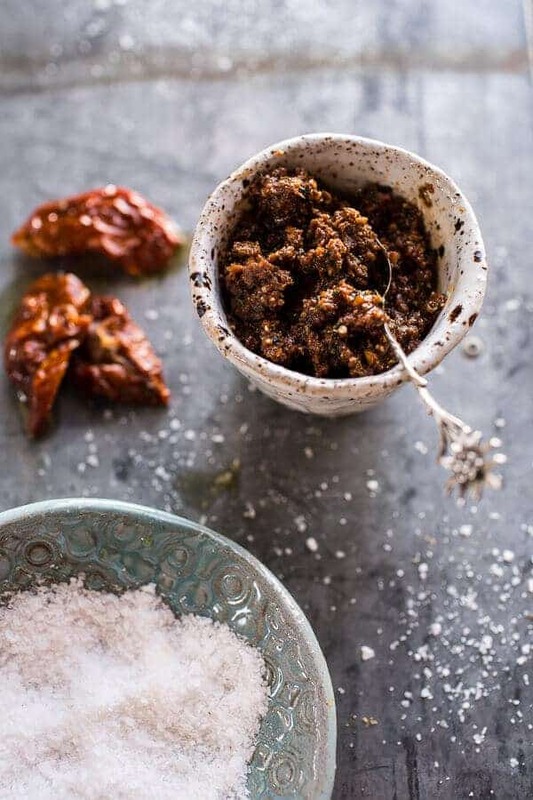 To a blender or food processor, add the sun-dried tomatoes and their oil, then add the balsamic vinegar, lemon juice, salt and pepper to taste, and basil. Blend until the tomatoes are finely chopped. Transfer the tomato pesto to a large bowl and stir in the Parmesan. Store in an airtight jar in the fridge for up to 1 week. 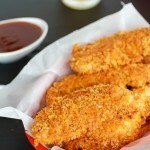 Cajun BBQ Cheddar Chicken Fingers. 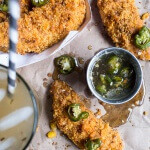 Cheddar Cornbread Chicken Fingers with Jalapeño Honey Butter. Quinoa Crusted Chicken Strips with BBQ Honey Mustard. 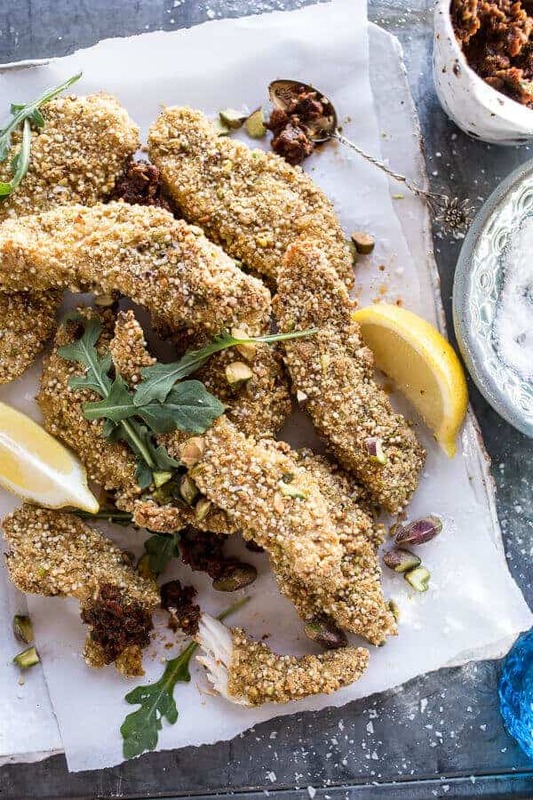 Black Pepper Rub Chicken Fingers with Greek Yogurt Ranch + Video. Ack! You’re so right! Chicken fingers are *such* a pool snack! Can’t believe you still have snow! That makes me feel bad for hating this 50 degree weather with on again, off again rain we’ve been having in Seattle! I will for sure try your version out. Oh yum! I’m sure they are very flavorful ! Oh my gosh. That first line – “let’s eat fancy kid food” – basically sums up my whole life. Let’s eat fancy grilled cheeses and unique “adult” ice cream flavors all day, every day. Oh and these chicken fingers. YES YES YES! I love jazzed up kid food. And these chicken fingers look insane! 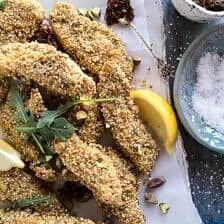 Dukkah is one of my favorite spices. And paired with cumin and sesame? Turkish spices at their finest. You go girl! 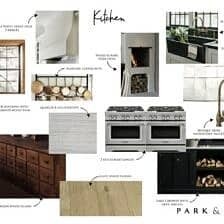 This looks so great and doable. I’m excited to try this! I’ve never had Dukkah before but I’ve heard only good things! Yes please, I love that pistachio crust and side of pesto! I’ll take an order of those! They look delish! 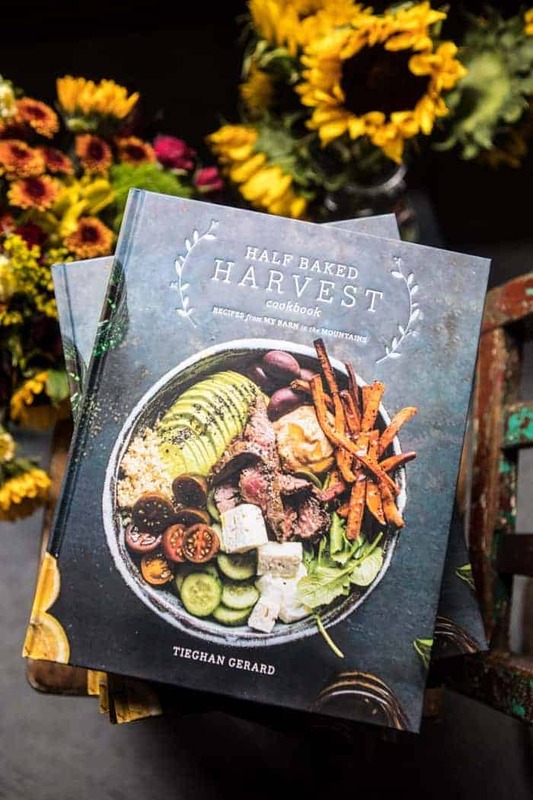 Tieghan I’m loving your two last posts about quinoa. I have been feeling a little bit challenge using this great grain but looking at you pictures and the recipes I know I’ll love it more. Best wishes! Dev. All I can think about is that it’s April 16 and you could have up to 24 inches of snow. I think you need Mac & cheese with your chicken. 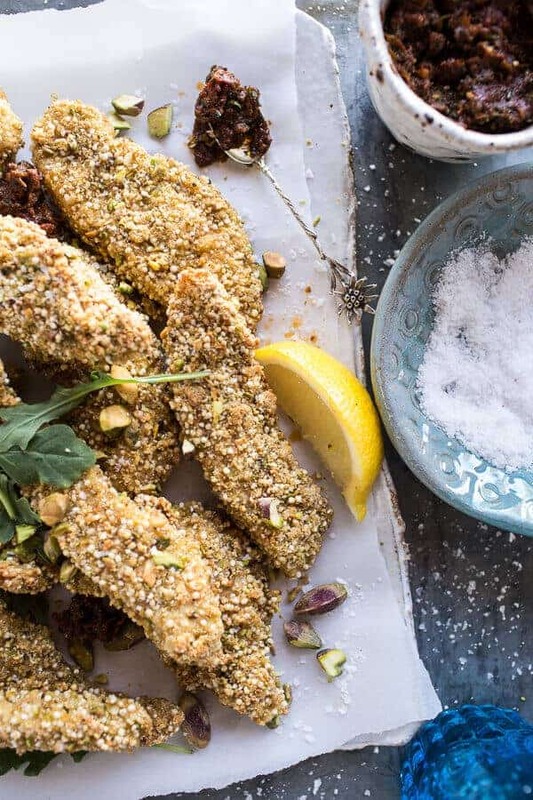 Love a good crunchy chicken finger.. and this dukkah crust is just calling my name to make. So creative Tieghan! Girl you still have snow?!!! Lucky you!!! 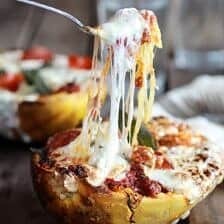 These look to die for and so so delicious!! Chicken fingers are the best! This spicy, crispy crust sounds just fantastic. I bet there would be excellent with a super-green dipping sauce too — maybe a chimichurri?